Instead of carrying printouts of your itinerary, TripIt Travel Organizer provides you a virtual solution to bring these important documents on your mobile device. One of Verizon’s suggested vacation apps, it collates thousands of information about travel related companies like airlines, car rentals, hotels, restaurants that they include in their extensive list. Viator Tours and Activity is a free travel guide application that allows you to access thousands of customers’ reviews about popular establishments in the area. Apart from browsing on reviews, it provides services for booking tours, accessing exclusive Viator members vouchers, as well as viewing and uploading your own photos and reviews. Are you looking for a budget friendly place to stay? Find the perfect affordable accommodation deals using Trivago’s list of 50,000 registered hotels worldwide. All information was provided by booking websites like LateRooms.com, Booking.com and Expedia.com among others. Satisfy your gastronomic desires by dining in the best restaurants in the world. Using the Find. Eat. Drink for iPhones, you will have access to the opinions of top rated chefs, bakers, and other members of the food service industry. You also have the option to download the available PDF files in your destination to get all the restaurant and food information, even without an internet connection. Discount loving tourists visiting Amsterdam, New York, London and San Francisco are in for a treat. With the For Less Guides on your mobile device, you get an access to discount coupons for restaurants, tourist spots and attractions. It also comes with built-in offline maps, directions and even street navigations. Instead of paying for a hired local tourist guide, use the iDotto for iPhone to get all the important information about your desired destination in Italian and English for free. All you need to do is to plug your earphones and listen as the app takes you to the marvelous places and restaurants in Europe. Another budget friendly hotel finder is the Hostelworld app. Aside from the rates, it also features reviews, photos and room availability of the more than 27,000 hotels worldwide. Woofound personalizes your experience by matching your interests with the activities found in the city of your choice. Just take the quiz and let the app do the rest. Woofound Mobile App from Woofound on Vimeo. To avoid any road traffic jams in your area of destination, Trapster offers you the much needed road information from driver-submitted reports to number of vehicles in the area. 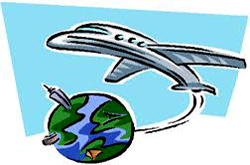 This gives you ample of time to reroute your car and enjoy more time sightseeing in other places. These are ten of the time and money saving applications you must have on your devices before you pack your travelling luggage. If you have other apps you want to add on our list, feel free to share it with us on the comment box. 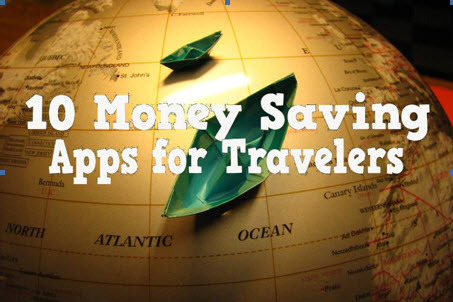 This entry was posted in Articles and reviews about excellent apps and tagged 10 traveling apps save money, Airport Life, app for traveling, best viral videos, best youtube video, best youtube videos, Find. Eat. Drink, For Less Guides, free video clips, free video clips for kids, free youtube video clips for kids, great traveling app, Hostelworld, IDotto, Money Saving Apps for Travelers, Top 10 traveling apps save money, top 10 videos, top 10 youtube videos, top ten traveling apps, top ten videos, top ten youtube videos, Trapster, traveling apps, TripIt, Trivago, Viator Tours and Activity, video clips, video clips youtube, video for kids, videos for kids, viral video, Woofound, youtube free video clips, youtube video, youtube video clips, youtube videos.